Following the tragic events of September 11, 2001, the carry of any type of knife aboard an airplane was strictly prohibited. In early 2013, the Transportation Security Administration (TSA) announced a plan to change U.S. security regulations and once again allow knives on airplanes. 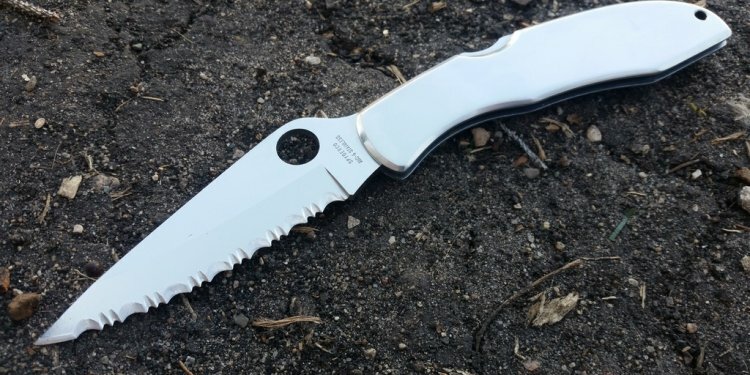 Although the plan was later withdrawn, Spyderco had already risen to the occasion by designing a highly functional non-locking pocketknife that would have conformed with the TSA’s proposed guidelines. That knife is the Roadie. In essence, the Roadie is a highly evolved penknife that is more practical and user friendly than its historical predecessors. It’s most distinguishing characteristic—the “Double Dent™—is a pair of symmetrical dimples in the blade that provide a solid purchase for a fingernail-free two-handed opening. Far superior to a traditional nail nick, they also do not collect dirt or debris. Unlike traditional penknives, the Roadie also features a subtle index-finger choil that increases control of the knife during use and acts as a safeguard against unintentional closure. These enhanced features elevate the Roadie far beyond the conventional penknife and set a new standard in socially friendly cutting tools. Although the knife was never given the opportunity to respond to its original “calling, ” the result of the project was far too good to pass up. The business end of the Roadie is a sheepfoot-style blade ground from Böhler-Uddeholm N690Co steel, a high-performance stainless steel alloyed with cobalt, molybdenum, and vanadium. Its wide blade profile and full-flat grind create incredible edge geometry for a keen, scalpel-sharp edge. The broad blade also provides real estate for the distinctive “Double Dent” feature that allows the blade to be easily opened with a pinch grip of the thumb and index finger. Although not intended as an opening feature, a Trademark Round Hole™ in the blade proudly identifies the Roadie as a Spyderco product. At the base of the blade near its juncture with the handle there is a subtle forefinger choil (finger groove). Placing your index finger on the choil provides excellent control of the edge and creates a natural “stop” to help prevent the knife from closing unintentionally. Both the choil and the opposing thumb ramp on the spine of the blade feature jimping (textured grooves) to promote a positive, non-slip grip. Unlike a traditional slipjoint, the Roadie’s blade is held open by an improved notched-joint mechanism. Its spring also forms the handle’s full-length back strap, giving it structural strength and providing a foundation for the durable fiberglass-reinforced-nylon (FRN) scales. The injection-molded scales are contoured for comfort and feature a proud Spyderco “bug” logo on both sides. They are also available in a wide variety of colors to suit every taste. The Roadie represents a quantum leap in the evolution of modern pocketknife design and sets a new standard of excellence for the breed. We are confident that yours will serve you well. MAKING HISTORY AGAIN... SPYDERCO KITCHEN KNIVES ARE BACK! Spyderco’s involvement in kitchen knives dates back to the early 1980’s and the beginnings of our company’s knife production. While fostering manufacturing relationships in Japan for our revolutionary folding knives, we were offered the chance to produce a series of kitchen knives with a highly regarded Japanese company. We embraced that unique opportunity and ultimately introduced a full line of kitchen cutlery, including everything from mini paring knives through full-sized chef’s knives. In the process, we also became the first company to introduce a commercial Santoku (a distinctive Japanese knife similar to a cleaver) to the U.S. market. Spyderco’s original kitchen knives were ground from MBS-26, a proprietary stainless steel available exclusively to one Japanese manufacturer. Ground exceptionally thin and painstakingly heat treated, these knives actually outperformed the chemistry of the steel and quickly gained a devoted customer following. Thee serrated versions also featured a highly evolved tooth pattern that was scientifically designed to remain sharp despite repeated contact with a cutting board. All knives in the original series featured injection-molded handles made from Sermollan—a lightweight, rubberized plastic with a semi-soft texture that provided a secure grip, even when wet.